If you’re looking forward to BioWare’s Anthem, then you might want to tune in now as an Anthem livestream is happening! According to BioWare, the studio will showcase the Forge, and how players can personalize their javelin’s appearance! The Anthem livestream starts November 15, 1 p.m. PDT/4 p.m. EDT, and can be viewed below. Speaking of javelin personalization, check out a few screenshots of some javelin’s getting some snazzy paint jobs applied to ’em! Speaking of, BioWare confirmed that javelin armors can have a “worn” state which is up to the player if they want it visible or not. 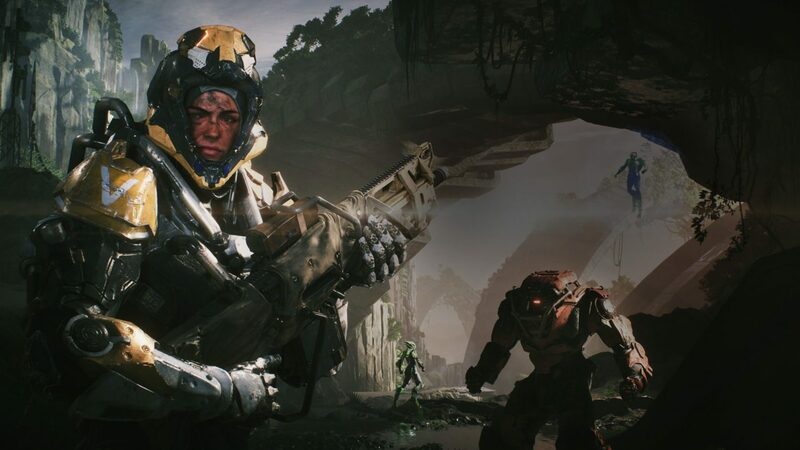 Anthem sets for flight this February 22, 2019 on the PS4, Xbox One, and PC.